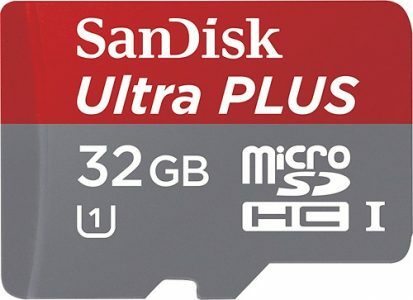 Today only, Best Buy has a choice of SanDisk Ultra Plus 32GB microSDHC Memory Card Sale Sale Priced starting at $14.99 with Free Shipping. Or buy online and pickup at your local Best Buy. Free $20 to spend at Shutterfly. Micro cards include full-sized adapter. Highly rated at 4.8 out of 5 stars.